This will be the Melodifestivalen 2019 stage! 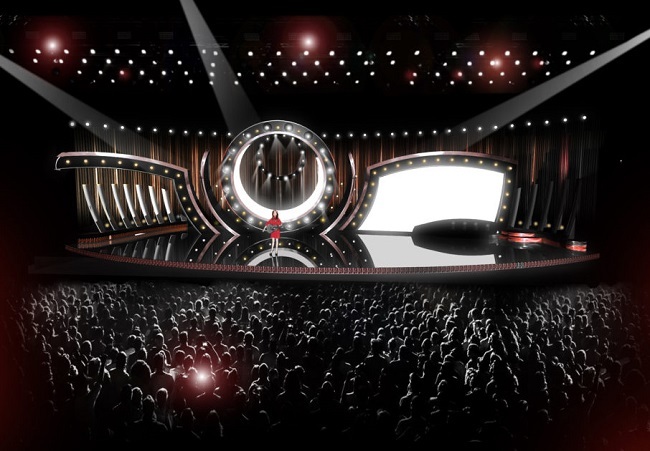 Swedish broadcaster SVT has just revealed the design for the Melodifestivalen 2019 stage! Viktor Brattström is the designer, who has designed several Melodifestivalen stages recently and even co-designed the Eurovision 2016 stage in Stockholm! There is something special about this year’s stage. Normally we get a stage where the ambiance is created by either a light show or an LED screen where graphics can be shown. But this year, as SVT’s Melodifestivalen and Eurovision expert Gustav Dahlander puts it: Viktor Brattström has refused to make a choice! The stage will have a lot of lights (313 moving lights which will increase to 500 in the final and 4 remotely directable following spotlights) and a big LED screen (8 by 4 metres) which will have the highest resolution ever seen in Melodifestivalen and if that’s not enough, there will be a ring full of lights in the middle of the stage behind the performer(s) which is the heaviest object on a Melodifestivalen stage ever (1800 kilograms, if you’re wondering!). To give space to all of this heavy artillery, it is placed on the broadest Melodifestivalen stage thus far: 22 metres! The first time we’ll see the stage in action on live TV, will be when the first heat of Melodifestivalen starts, on Saturday the 2nd of February. What do you think of the stage? EMA 2019 to take place on the 16th of February!